I was in Spokane, Washington recently. Spokane is a medium-sized city and Interstate 90 runs through the middle of it. Traffic that day was a little heavy but moving at about the speed limit. I was at my exit and moved over to take the exit and of course, checked my mirrors. I saw coming up behind me fast a white Dodge pickup. There were two lanes you could exit from the interstate on. He was in the far right one, I was in the left on. Since he was going so fast I just stayed in my lane until he passed me on the right. I said, "In a hurry, much?" to my wife. I thought he was getting off at that exit but he didn't, he moved into the lane I was in, then at the last possible moment, cut left over two lanes of traffic to find a hole to keep going. I estimated he was doing at least 80 mph and the speed limit was 60. One last detail: the truck had Montana plates. I guess it's sexist of me to assume the driver was male. I didn't see the driver. But I don't think a woman would be driving that fast and that stupidly in that heavy of traffic. And it got me thinking about driving fast versus driving dangerously. One time I was driving on the race track. I pulled onto the track and was going "slow" to warm up the car and warm up the brain. I glanced at the speedometer and I was doing 80 mph. But on the race track, that was slow. Next time I passes that spot I was probably going 120 mph on my way to 135 at the end of the straight-away. Using a different (faster) car, I once hit 155 mph on that straight. I felt safer doing that than with that white Dodge pickup truck slicing through traffic at 80 mph. Because the circumstances were different. Speed versus danger is not a liner relationship. There is so much more that goes into that calculation. First of all, weather. Rain and snow and ice all make a difference. We all know that. Then there's traffic, road condition, and what's beside the road. If there are houses that could have cars pulling out or kids running out after balls, you're going to want to go a lot slower than on an empty back country road. 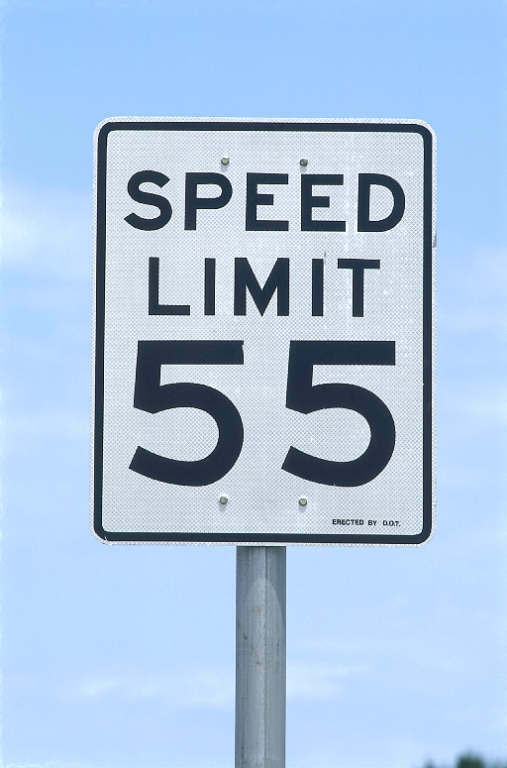 Driving 155 mph is more dangerous than driving 75 mph, all things being equal. But driving 155 mph on a controlled, dry racetrack is less dangerous than driving 80 mph in medium traffic and cutting across multiple lanes to find a hole to keep going fast in. This is why speed limits drive me nuts. They are often based on the mantra "speed kills." But it's not speed that kills, it's differences in speed. The further your speed gets from the prevailing speed of traffic, slower or faster, the more likely you are to have an accident. Yes, I enjoy driving fast. But I do it as safely as possible.